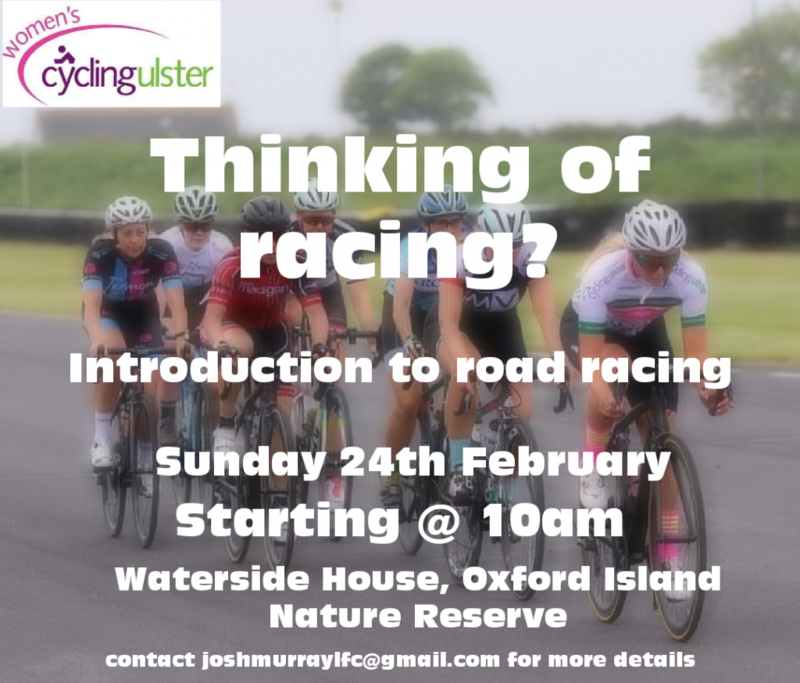 The CU Women’s Commission are hosting an ‘introduction to road racing’ day on Sunday 24th February. The location is Waterside House, Oxford Island with proceedings starting at 10am. The day will consist of a talk from top coach Bryan McKinney (Mellow Velo Coaching) followed by a structured session out on the roads. After this there will be tea/coffee and scones and a chance to mingle. Who this day is aimed at? Whether you’ve raced before or are considering racing for the first time this event will have something for everyone.